BBJ Mold Control for HVAC Systems and Air Ducts® controls the growth of mold and mildew in HVAC systems. 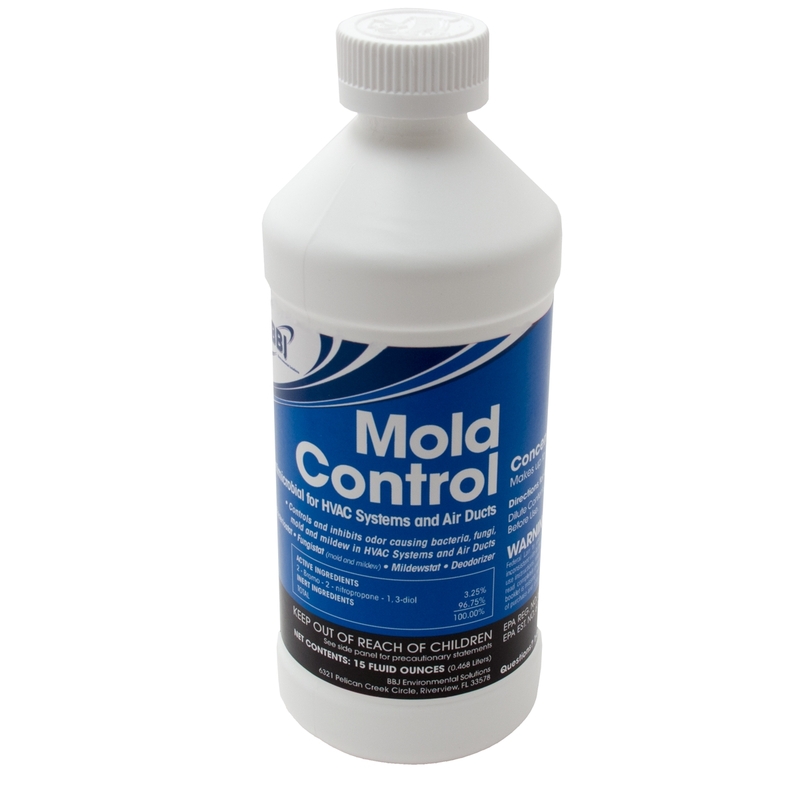 Use alone as a mold control solution or apply after physical cleaning and sanitizing to inhibit microbial growth on supply and return sides of systems. Use on supply and return side components such as unlined ductwork, coils, air handling units, drains pans, grills, humidifiers and dehumidifiers. Concentrated formula can be mixed as required an applied with foggers, air compressors, or other aerosol methods. Available in ready-to-use formula as well. Concentrated formula, makes 7.g gallons of ready-to-use. Q. Do it need to mix this product before use? A. Yes, BBJ Mold Control for HVAC systems and Air Ducts is a concentrate. Simply follow the included directions. One bottle of concentrate makes 7.5 gallons of ready-to-use. Q. How long does BBJ Mold Control for HVAC and Air Ducts actual control mold for? A. This depends on the specific application, but generally and if applied according to instructions, BBJ Mold Control for HVAC and Air Ducts should control mold growth for 6 -12 months.